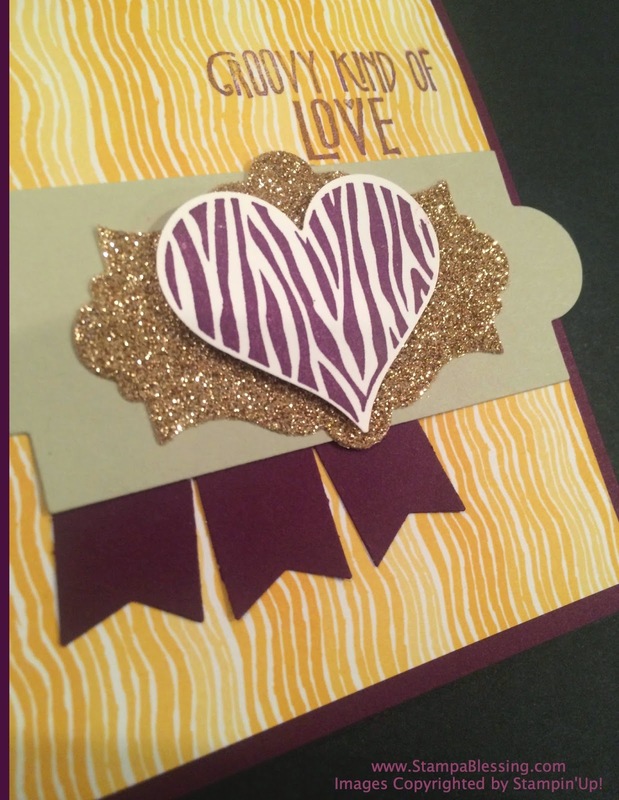 One pretty birthday card I am not sure I showed you before and a different color palette Valentines. I truly love this stamp set and love finding ways to use it. For this card I remember using a sketch from a challenge and then I forgot to post it. Oh well…life goes so quick. 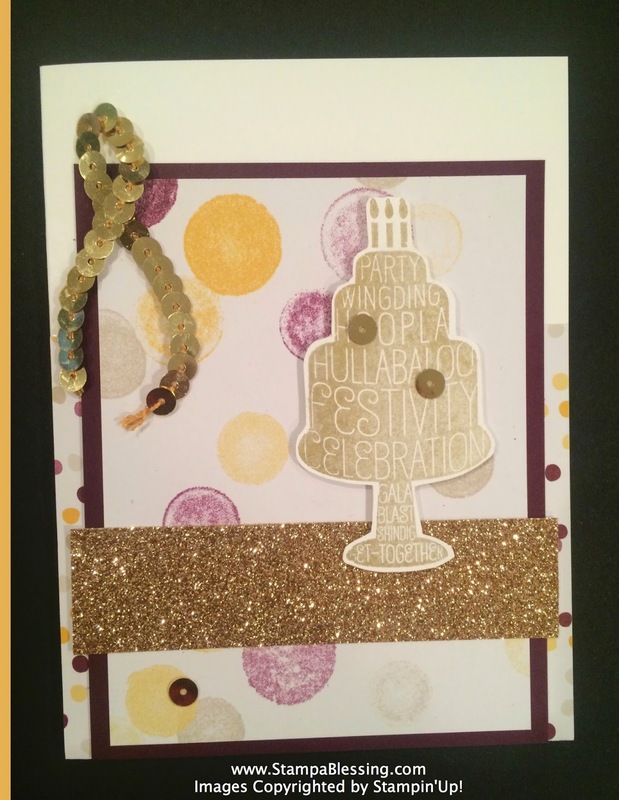 Lots of bling…this was my sister's birthday card. I miss her. There is no one like a sister…no one. I tell my daughters to enjoy each other, to be grateful because later in life they won't have a wonderful best friend who sleeps on the same room and laughs together with them every single day. The blessing of having sisters. Groovy Love in totally different colors this time. If you look into my tab to the right LOVE you will see several cards made with this set. I've been enjoying it. This card follows a lot of bling JUST like he one on top. I was having a purple day indeed. Apothecary Accents Framelits and Banner Punch helped me with all the layers. 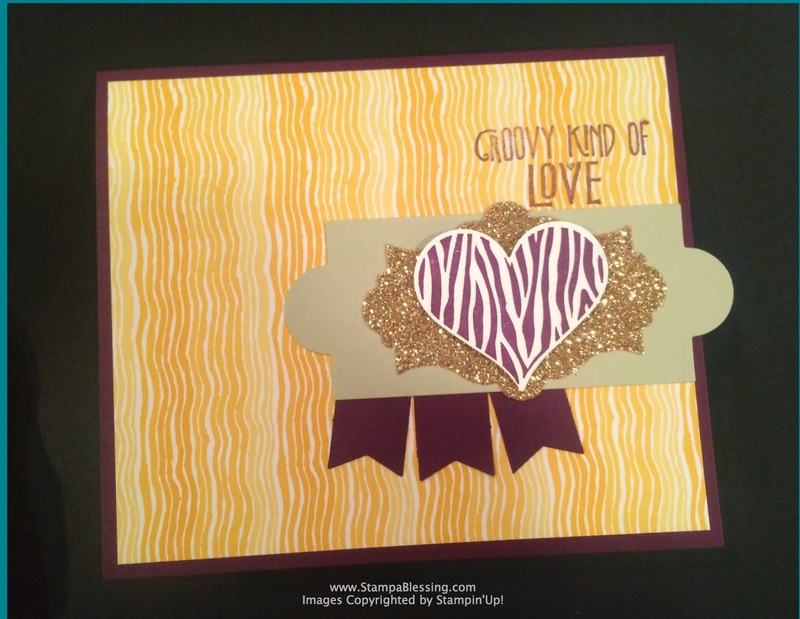 Moonlight Designer Series Paper Pack, Sahara Sand Cardstock and Blackberry Bliss Cardstock. 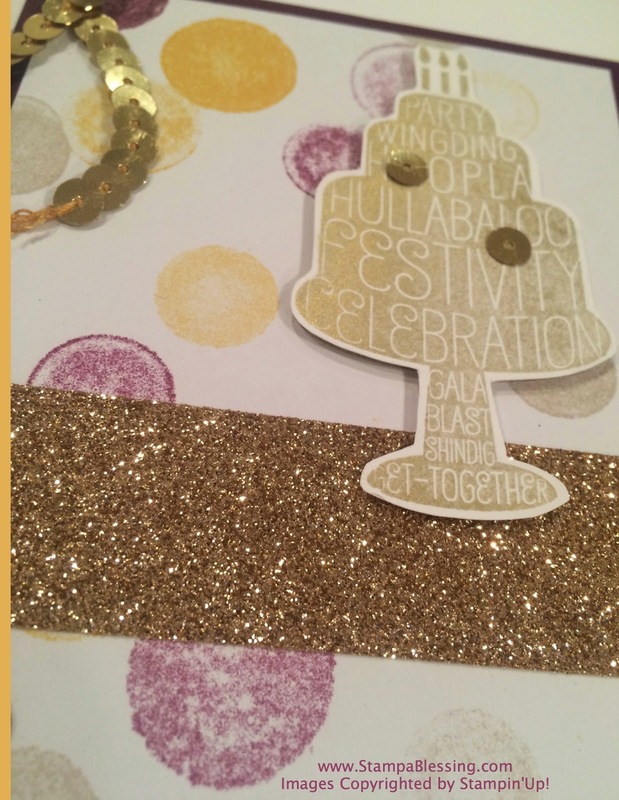 Champagne Glitter Paper. Hope you are blessed having a beautiful beginning to your week. Come tomorrow to see how I am organizing my punches and embellishments at this time. WHAT ARE YOUR FAVORITE VALENTINE COLORS? Do you follow the regular colors or like trying different ones?